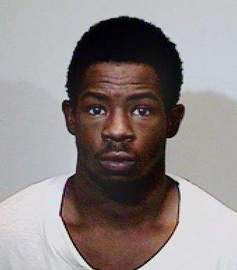 Last Friday, Travis Copeland, 19, was in an Illinois court to answer charges that he had violated a bond condition. He was not in chains because he was not considered a flight risk. In a moment of clear thinking, Travis made a bold attempt to escape. He bolted out of the courtroom and ran across an enclosed walkway that he hoped would lead to his freedom. Unfortunately, Travis soon realized that there were officers at both ends of the walkway. So, following the example of any decent TV criminal, he lunged his body into a window trying to break through it. It was then that Travis found that humans bounce off bullet-proof glass. After ricocheting himself off the glass, a dazed Travis was taken back to court... where his bond was increased from $50,000 to $1.5 million.